Yahoo! Inc. (YHOO) or Alibaba, Which One Is Better For Holding In The Long-Term? With a few hours left in the opening trade of Alibaba Group Holding Ltd, investors are all set to buy the shares of the Chinese e-commerce giant. The company has released an initial target range of $66 to $68 for its shares. However, an important question remains unanswered: Which is a better bet among Yahoo! Inc. (NASDAQ:YHOO) and Alibaba? First, Alibaba Group Holding Ltd is involved in nearly every possible online business including Alibaba marketplace, which caters B2B sales and services or Alipay (online payment processor) or Taobao marketplace (combination of EBay Inc (NASDAQ:EBAY) and Amazon.com, Inc. (NASDAQ:AMZN)), cloud services, Tudou (video streaming services), and online customer marketplace. Any business that can be done online, Alibaba has a stake in it and further, the company is planning to expand its services globally. In addition to its vast commercial online exposure, Alibaba has a tremendous growth rate and the company reported revenue of $2.5 billion in second quarter 2014 with $1.99 billion in earnings. Its revenue increased by 46% when compared with the last year quarter. So, it certainly is an excellent opportunity to invest in Alibaba’s IPO. On the contrary, irrespective of the opening price of $66-$68, the stocks will open comparatively higher in the stock market and that is what average investors would have to pay. Further, most of the technology-driven IPOs open at a higher price only to drop or stabilize in the next few months. In short, you might end up losing your capital investment. Considering other available options, Yahoo! Inc. (NASDAQ:YHOO) owns 22.4% stake in Alibaba and at the current rate, it is valued at $36 billion. The company is valued at $41 billion but considering all of its assets including $1 billion to $2 billion in cash, $1 billion in debt, and $5 billion to $11 billion worth of stakes in Yahoo Japan along with Alibaba’s investment; Yahoo! 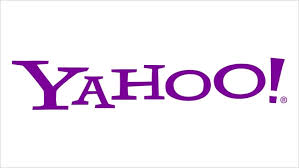 Inc. (NASDAQ:YHOO) is comfortably standing at $42 billion, which is above its market valuation. On top of it, Yahoo’s base business turned a profit of $1.2 billion last year, which at least puts the base business at $5 billion and still it is not considered in Yahoo’s market value. This valuation gap for Yahoo! Inc. (NASDAQ:YHOO) is likely because of the taxes it might have to pay on capital gains out of the Alibaba’s IPO. Secondly, Yahoo! Inc. (NASDAQ:YHOO) has not released any definitive plan for using the cash out of Alibaba IPO and the probability of Alibaba’s shares stabilizing after a few months. However, we are aware of the fact that MNCs do find ways to save taxes and Yahoo! Inc. (NASDAQ:YHOO) is likely to do the same, which leaves the company proportionally undervalued.